Week fifty eight and this week was quite unusual. I went to see my mum and family this weekend and took advantage of the fact that hubby wasn’t with me to bake 2 banana based recipes- you see I can’t bake these at home as hubby is allergic to bananas and I don’t want to risk him having a serious reaction for the sake of this challenge. 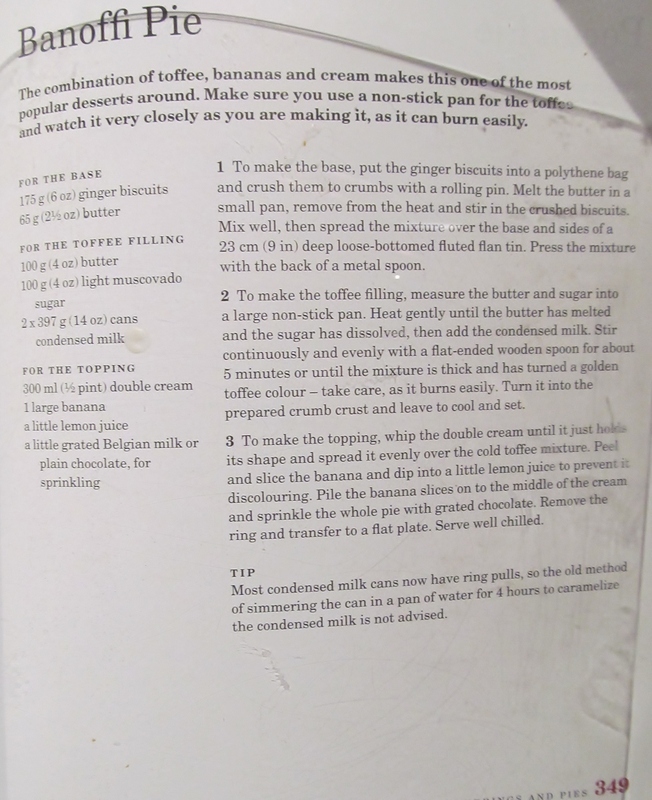 Mary Berry‘s Baking Bible has a few banana recipes in it and I hoped to be able to adapt the recipes or swap the ingredients where possible but these 2 recipes would not be the same without bananas. 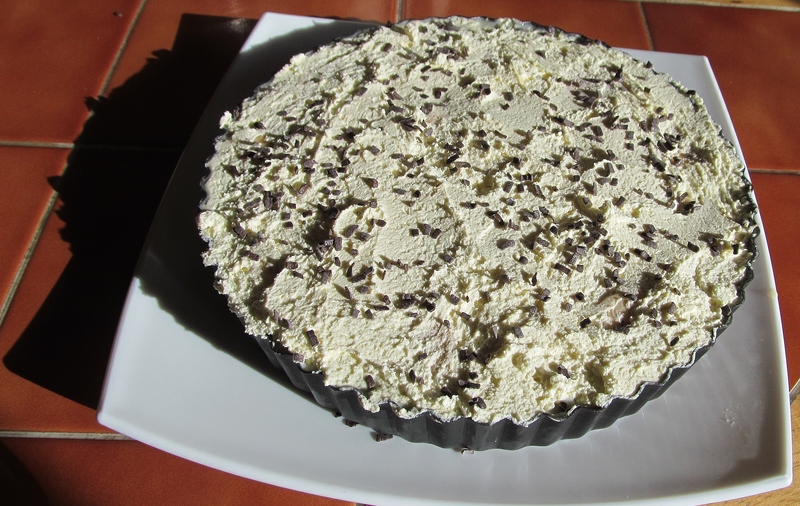 The first recipe was banoffee pie and I was always under the impression that the banana and toffee was mixed together but in Mary’s recipe, there is no banana in the toffee layer, just sliced into the cream on the topping. The base was ginger biscuits crushed and added to melted butter to make the base. Then Mary asks you to heat the butter sugar and TWO cans of condensed milk until it thickens. I think I didn’t spend long enough on this and although I thought it had thickened enough, when I chilled it, it still remained quite gloopy and didn’t cut cleanly. I topped it with slices of banana and covered it with whipped cream and chocolate sprinkles. My “volunteer” tasters didn’t look overly keen with their scoop of sloppy pie but they did assure me that it tasted better than it looked! The second recipe was a banana loaf. I took a loaf tin liner with me. 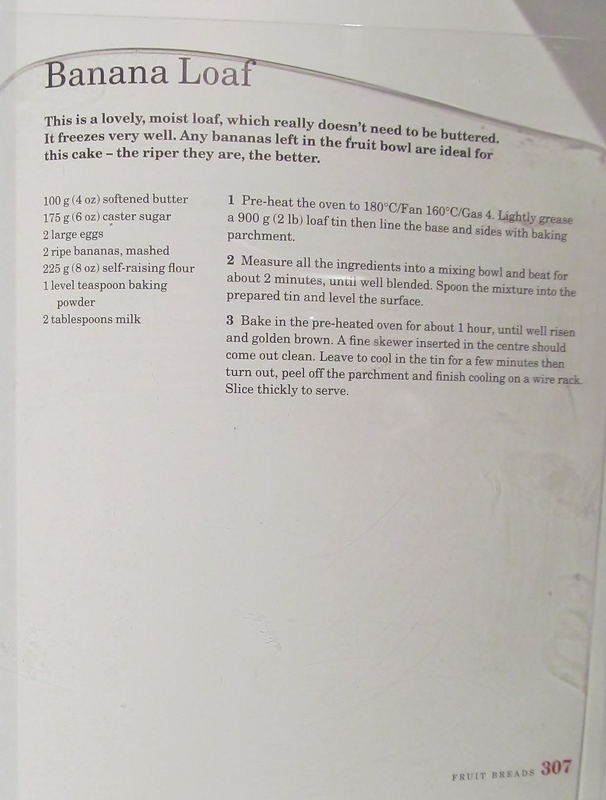 Mary’s recipe asks you to add all the ingredients into a bowl and mix well, pour into the loaf tin and bake in the over for around an hour. 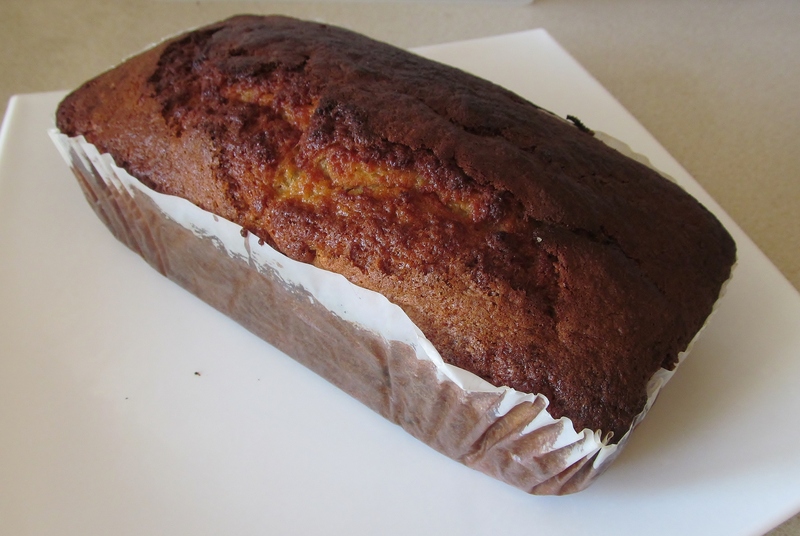 When it was done, there was a lovely smell in the kitchen- one that my home will never have- of a scrummy banana loaf- and the smell of bananas was strong so I was pleased I chose to bake it at my mum’s. A few slices were eaten before I left and It seemed to go down well. The evening was capped off with an invitation to a Halloween party- and my first I have to admit. 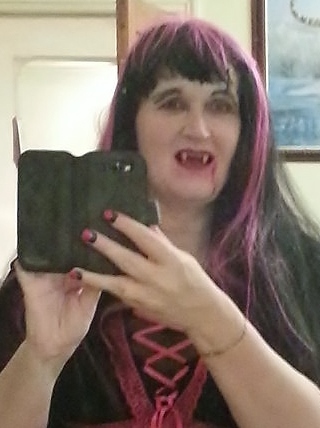 I did have fun with choosing something to wear, I went as a vampire and found the most amazing fangs to wear! I found I got into character quite quickly! I have also just finished watching the last Great British Bake Off master classes and some of Mary’s recipes that she did were one’s from her book and I was pleased to see that so far, I have managed fairly well, but am sad that there is no more GBBO until next year now……sigh….. This entry was posted in Kim's cake challenge and tagged Baking Bible, Banana, Chocolate cake, Great British Bake-Off, kims cake challenge, Mary, Mary Berry, Mary Berry's Banana Loaf, Mary Berry's Banoffee Pie by kimsideas. Bookmark the permalink.